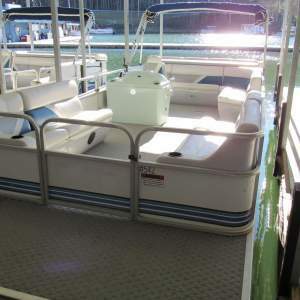 These are our standard pontoon boat rentals that are equipped with 50 HP Mercury Outboards. 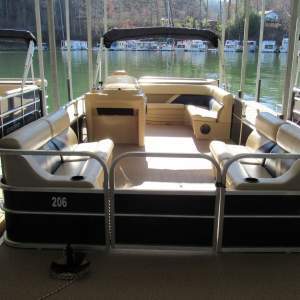 They are 24’ long Leisure Kraft pontoons and offer a spacious interior with a maximum capacity of ten people. 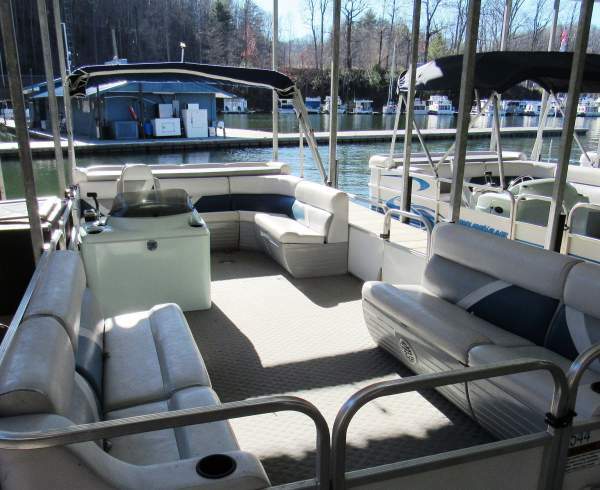 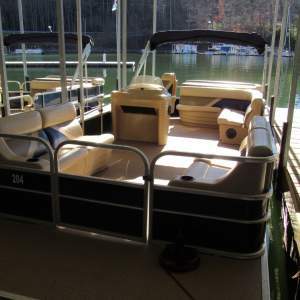 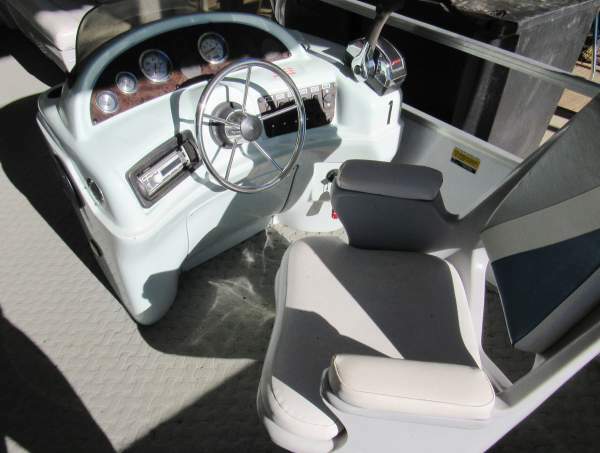 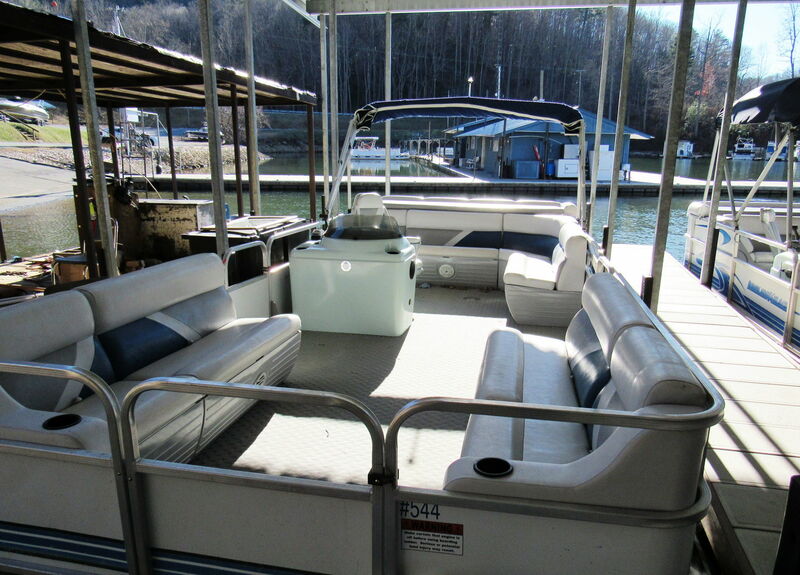 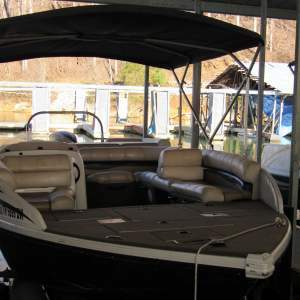 Equipped with a Bimini top, sun deck, ladder, anchor, comfortable captain’s chair/seats, radio/CD player, and marine radio; these rentals are the perfect way to cruise and explore beautiful Watauga Lake.